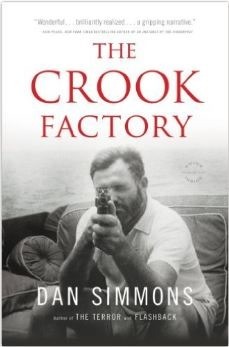 This entry was posted in Book Review, Photography, Quotes, Reading, Travel and tagged author inspiration, author tips, Crook Factory, Dan Simmons, Hemingway cottage, Idaho, Writer's Quote Wednesday. Thanks, Beth. That little cutie is now almost four years old with long blonde curls. Quite a cutie. What a great quote and such an expressive photo of your granddaughter, Fran. I completely agree with King. If you don’t have time to read, you’ll never find the time to write. A writer will always make the time for both. I second that, Jill. A writer will always find the time to read. It’s in our blood. Inventive book! I have a remote relationship to Hemmingway – I was born on the day he “liberated” the bar at the Ritz Hotel in Paris after WW II. I think it is still called the Hemingway Bar. My next reading project (or book to try and obtain) will be a selection of Hemingway’s letters. I’ve read compilations of correspondence for a couple of authors and found them very informative. There is something about that personal voice in letter writing that reveals much. Maybe he wrote about that day, liberating the Ritz Hotel. There’s a bar in Cuba that keeps a stool always open for ‘Papa”. Boo no Kindle option otherwise I just might have. I read ‘For Whom the Bell Tolls’ many years ago and, though I remember enjoying it, never picked up another Hemingway. I just went on the Amazon UK site and was really surprised to see that Crook Factory was not offered for Kindle. That is how I got my copy in Canada. I had wanted to read this book two or three years ago and it was out of print. The ebook feature is a new option in North America. Hopefully coming to the UK soon. For me, Hemingway really shone in the short story genre. That is where I honour him. 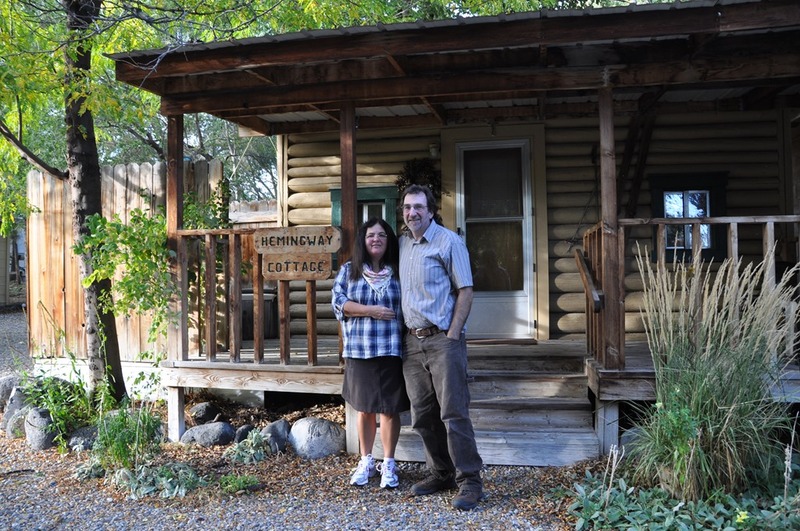 Like so many of our trips – we only discovered how significant the area after the fact. I’ve also had this experience with parenting – LOL. But we really did enjoy Idaho and the Sawtooth Mountains were spectacular. I find I am more intrigued by Hemingway – the writer than I am by the writing of Hemingway. Does that make sense? He’s an archetype of something definitely American and male that personifies a certain era but at the same time he is so much more. 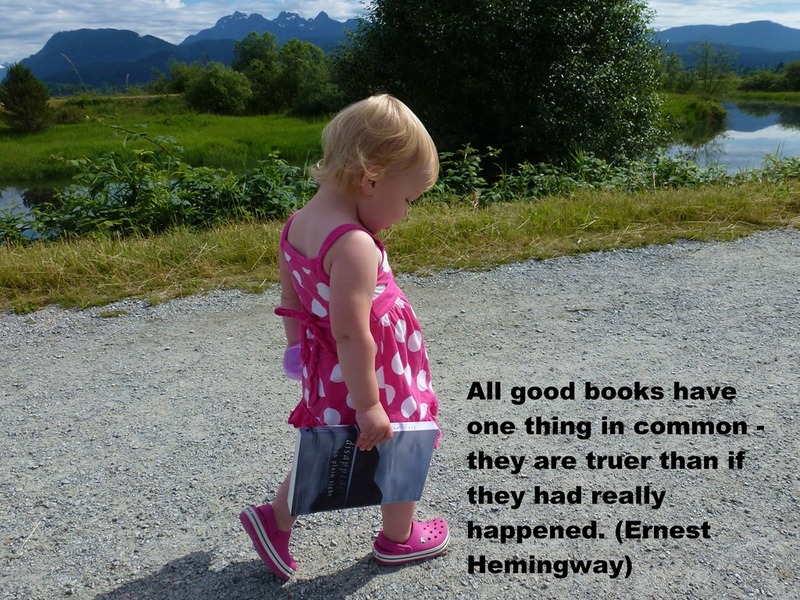 “All good books have one thing in common – they are truer than if they had really happened.” What a wonderful quote! And I can’t let this opportunity pass without letting you know that your books are like this. I am in the middle of Chasing Down the Night. All 3 books in the Crater Lake series are as real as real can be. I often feel as if I am reading a true story. Great writing! I am feeling so humbled and touched by the sincerity of your comment. So many thanks. Enjoyed your post, Fran. There has always been something mysteriously alluring to Hemingway the man/writer for me. Perhaps it is his continuous theme of standing up to face trouble–face-to-face–when that’s the last thing we really would like to do, and taking responsibility for our actions. Great post but particularly love your studious grand daughter sneaking off for a reading binge with your novel. Too cute. Love the photo and the recommendation.